Hello everyone! This is GiGi from The Cricut Bug and I am sharing a really fun project! Before I get to my project, I just want to say THANK YOU to Candace and Michelle for letting me Guest Design here at Jaded Blossom this month. I had so much fun! 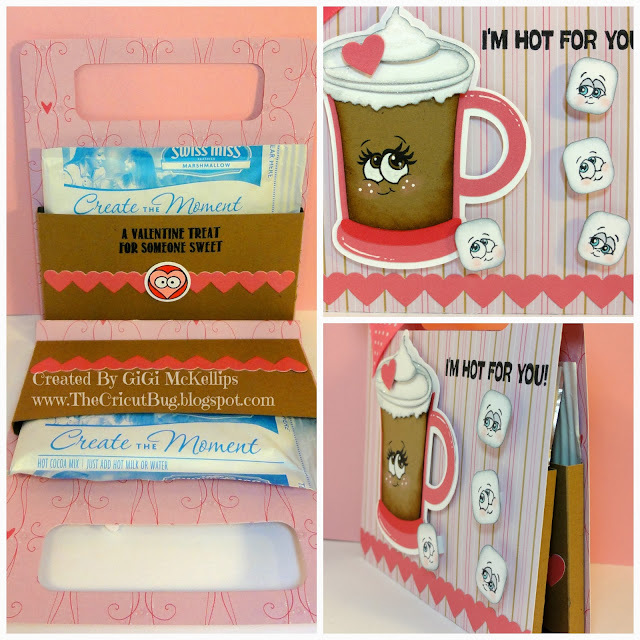 SO, for my project today, I made this Valentine hot chocolate card pouch. Who says hot chocolate can't be used as a Valentine treat? LOL! I created the Card Pouch using this TUTORIAL. I used the Jaded Blossom Candy Wrap Dies to cut out the handle and added the heart borders using the Valentine Dies. 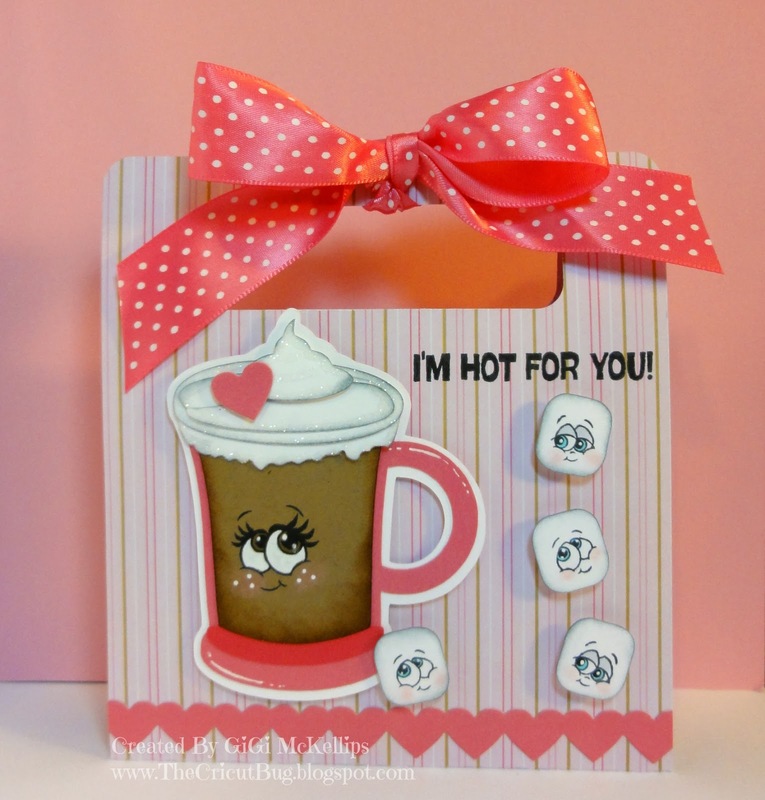 The cup of cocoa and marshmallows were cut using the SVG Cutting Files Kawaii Hot Chocolate and I stamped the faces with the NEW Peachy Keen Sweet On You Face Assortment. I stamped the sentiment on the outside using the JB Kawaii Sentiments and stamped the inside sentiment and heart candy icon using the Sprinkled With Love stamp set. I hope you all enjoyed seeing my projects this month and thanks for all the wonderful comments! This is so freakin adorable!!!!!! I've enjoyed all your projects this month!!! you were an amazing Guest Designer!!!! This is seriously the cutest little hot cocoa ever!! Thanks for all of your inspiration this month, you've been a fabulous GD!! This is adorable!! Awesome projects all month! !